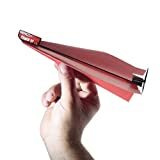 Tired of spending all that time folding a piece of paper into a precision flying aircraft that will either fly for a few seconds or instantly nosedive in spectacular failure? Wish that paper airplane could soar for longer? Wish that you had some actual flight control after throwing it? Can't afford a drone? 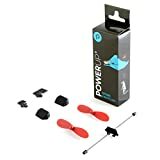 Then you need to check out the cool new PowerUp 3.0. 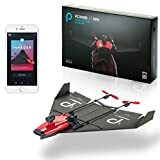 This little device upgrades a simple paper airplane into a full blown app-controlled R/C airplane that gives you 10 minutes of flight time. 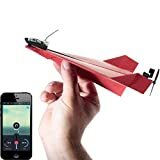 Just fold your airplane, install the smart module, download the free app on your smartphone, and feel the thrill of flying as your plane soars through the skies as you ascend or descend using the app's throttle lever or maneuver it by simply tilting your phone. 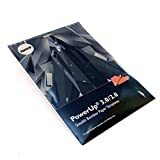 The app connects to the plane via wireless Bluetooth giving you around 180 feet of range and the kit includes everything you need including 4 paper templates to ensure easy folding. Check out this video to see it in action.